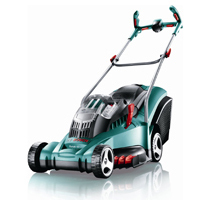 Cordless electric mowers provide you with a majority of the benefits of a gas lawn mower whilst being powered by cleaner, more ecological electric energy. 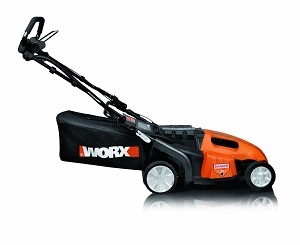 If you don’t want to have that trailing power cord following you everywhere or breath in the polluting fumes of a gas mower this type of mower is great compromise. Suited to small and medium sized gardens, they give you the freedom to navigate your way round objects and tight spaces. 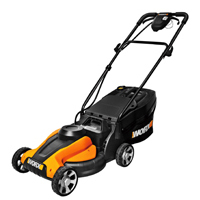 No Cord – Unlike their corded cousins, this type of mower doesn’t have a cord for you to get tangled up in. Environmentally Friendly – We should all care about the environment we live in and by purchasing one of these you are, because they don’t emit toxic fumes like other types of mower. Easy To Start – Nothing could be simpler than just pushing a button to get your mower ready for action. Very Quiet – There is a significant noise difference between a cordless mower and a gas mower – up to 25% studies have shown. 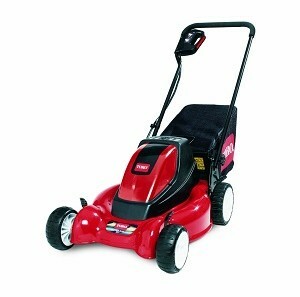 With this type of mower you can actually hear yourself think when mowing. Easy To Use Batteries – The batteries that power these machines are easy to remove and charge up. Only Basic Maintenance Needed – There’s nothing to it really, occasionally sharpen the blade, keep the deck clean and charge up the battery. Hassle free mowing!